With complimentary shuttle service from Union Station, the Country Inn & Suites, Portland Delta Park, OR lets your relaxation begin before you even arrive at the hotel. Our pet-friendly policy ensures that no family member is left behind, even those with four legs, and the adjacent park features an off-leash area. After checking in to your room or suite, connect with friends and family via free high-speed Internet access, and then unwind with a good book from the Read It & Return Lending LibrarySM. In town for work? 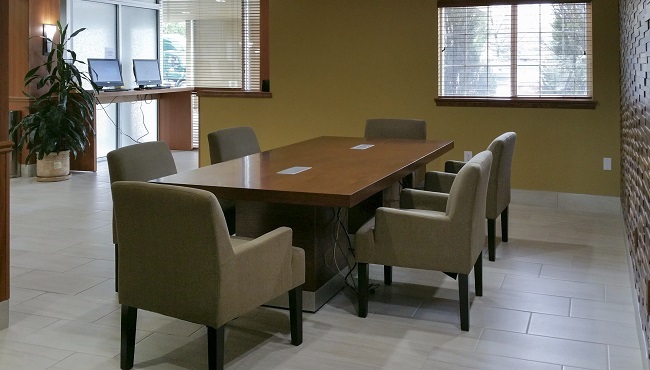 Our on-site business center and meeting space promote productivity without requiring additional commutes.